>> turn now tonight to the suspect in this case, the accused assassin, jared lee loughner, by all accounts, a very troubled 22-year-old man. so much so, in fact, that many people are saying that the main story of this tragedy is more mental health than it is issues like the political process. tonight we finally heard from his family in our own mike taibbi is live outside the family home in tucson. mike, good evening. >> reporter: good evening, how are you, brian? in a written statement late today the parents of the suspect said we wish we could change the heinous events of saturday. we care deeply about the victims and families and we're so very sorry for their loss. the question remains, how could the parents of jared loughner been unaware of what their only child was thinking and allegedly planning living in the same house? secluded in their modest home, amy and randy loughner told the neighbor, wayne smith , to say a few words about how they were doing. in the aftermath of the tragedy their son is charged with creating they, too, are suffering. >> they're hurting bad. she's really bad. we may have to put her in the hospital. >> reporter: while they knew their son had problems they had no idea how far he had spiralled down. >> it's a sad thing. their son did this, not amy and randy. and people need to understand that. >> reporter: but many wonder how loughner's parents could not have questions which looks like a shrine in the backyard with a candles and replica skull. they wonder why they didn't see and hear what the classmates and teachers at pima community college heard from him in outbursts. nonsense cal tirades, some terrifying and not just now and then says his former classmate. >> every day. so for, i don't know, for people not to notice, i find that hard to believe. >> reporter: but it seems loughner's parents lost touch with him. george, the father of one of his best friends , said loughner's parents showed up unannounced one day looking for jared. >> my son told me he was gone for an entire week. >> and the parents didn't know where he was. >> did they know his other influences? allegedly smoking pot and the over-the-counter hallucinogen like salvia and he likes documentaries that were scarey and he cut himself off from his friends. >> basically, he called or texted them and said, you know, i don't want anything to do with you anymore. >> isolated in his own home and apparently propelled by demons his parents say they never saw. federal investigators tell nbc news that loughner's parents have, in fact, cooperated fully with the investigation right from the beginning. brian? 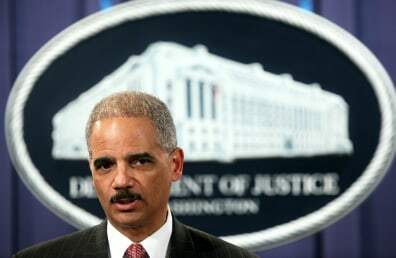 Attorney General Eric Holder will decide whether the government will seek the death penalty against Jared Loughner.